In what’s shaping up to be a miserable winter, a bright spot appeared in the form of a tweet from Mike Griggs, Director of Parks and Recreation: The ice at Stephens Lake was now thick enough for skating. Parks and Rec is certainly doing yeoman’s work keeping us busy this winter from the ROC 7K Run at Cosmo Park (bonfires and hot breakfast!) to classes in making your own maple syrup. Still, once the holidays are over we lean more towards hibernation than activity. The wind and ice make typically busy sidewalks and public plazas unwelcoming. Residents discover the joy of hygee—the Danish word that reflects the coziness of staying home on a cold night. Even here on The Loop, as we gather in -2 temperatures to plan a pop-up park, we yield to the seasonal nature of our efforts. On a recent trip to Winnipeg, I learned first hand how they take a very different approach to the depths of winter—they embrace it. The Forks in Winnipeg is a historic park located in an abandoned railroad terminal at the juncture of the Red and the Assiniboine Rivers. The city transformed the rail yard into a public space with museums, art, restaurants, festivals, market, and riverwalk. Like most public areas, they began with a commitment to creating a rich pedestrian environment with people-scaled amenities and popular gathering spaces. It wasn’t enough though to create a welcoming pedestrian space, it was also important to create a year-round facility for Winnipeggers, fully embracing the belief that winter is coming and you may as well enjoy it. 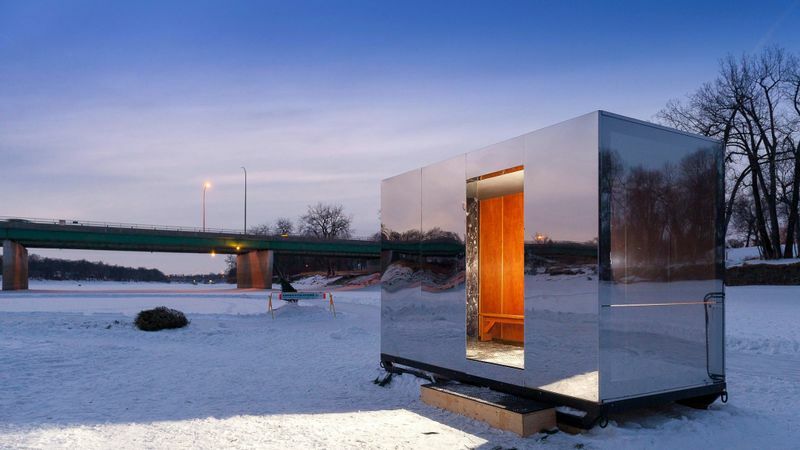 Walkways, event spaces, and public art are all located with wind, temperature, and sunlight in mind to ensure that even in the dead of winter, the experience can be pleasant. During winter months, the river freezes and becomes the longest ice skating “trail” in Canada. 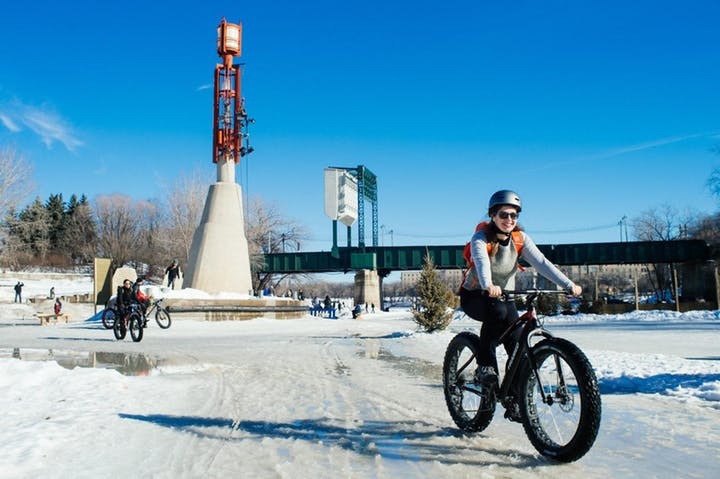 Not to be outdone, cyclists hold a week-long Big Bike Chill with rides along the Red River Mutual Trail and a Winter Bike to Work Day. 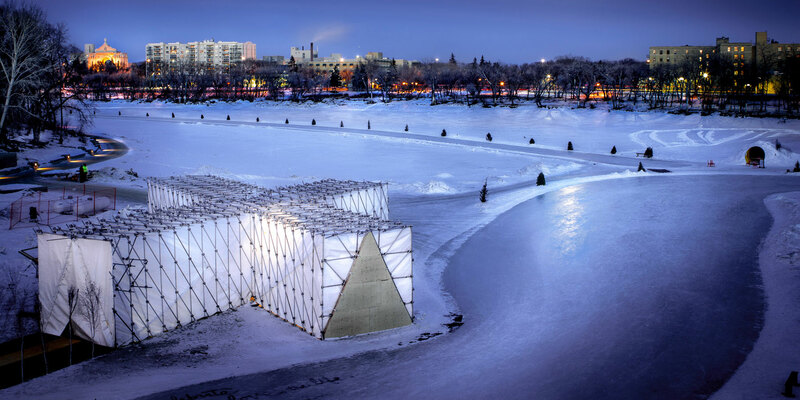 And to keep everyone as warm as possible, they host a warming hut design competition every year with the winners demonstrating an exceptional mix of art, architecture, and sheer fun. 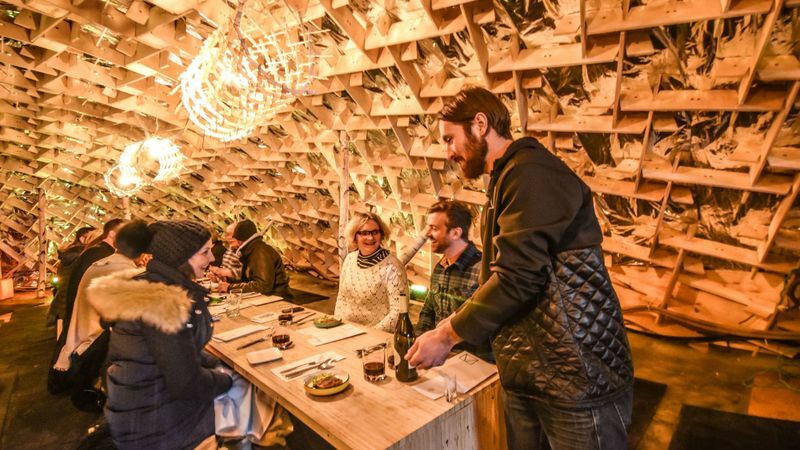 They even have a pop-up restaurant, Raw: Almond, that sets up on the ice every January and February and wows diners with dishes from top local chefs. 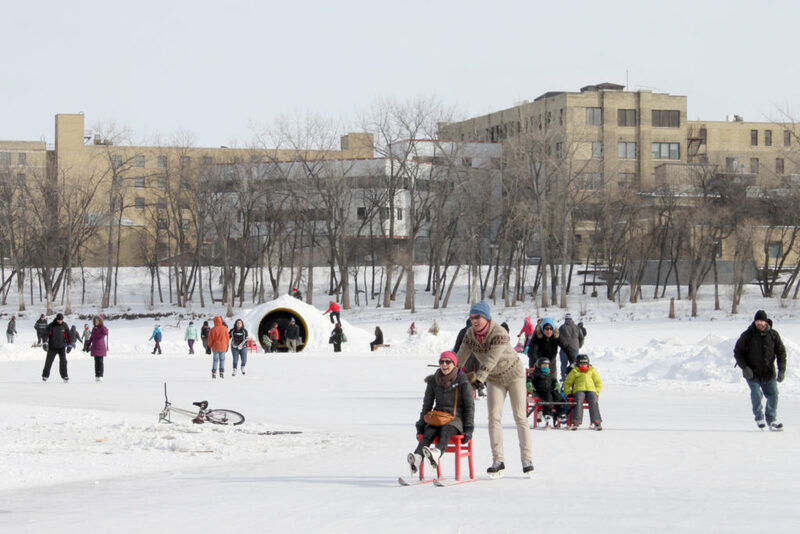 We don’t have the snow that Winnipeg sees but there are any number of ways to transform a city during the dead of winter through smart urban planning. Bryant Park in NYC, for instance, transforms into a Winter Village that extends well past the holidays with pop-up boutiques, food vendors, and heated igloos for outdoor seating. Forward-thinking cities make sure to plow pedestrian walkways and bike lanes after a snow. In other areas, restaurant owners invest in gas heaters and warm blankets to extend the usefulness of their sidewalk cafes and patios. And since the nights are longer, adding decorative lighting throughout the winter season helps the city feel warmer and more welcoming. 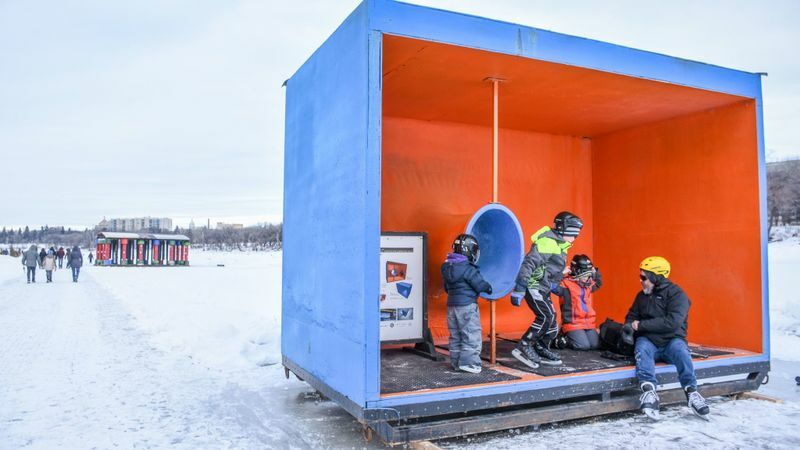 During the last big snow kids and adults alike headed to our parks for an afternoon of sledding and maybe that’s another secret to surviving the cold in the city—remembering just how fun winter was when you where young.